If you’re looking for some affordable, fresh and delicious seafood, one of your best bets in Hong Kong is Po Toi O Village (布袋澳) a small fishing village at the southern edge of the Clear Water Bay Peninsula in Sai Kung. 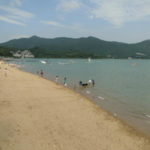 The village is situated at a bay shaped like a sack, thus earning its name Po Toi (meaning a sack). Interestingly, everyone living in the village has the same surname: Po (布). It’s not too far away from HKUST. You take line 91 and then change to the minibus at the Clear Water Bay Second Beach. The minibus originates from Po Lam MTR station, and 91 originates from Diamond Hill MTR, if that’s easier for you. There are a few seafood restaurants in the village, which CNN crowns as “best seafood in the city”. Prices, unlike Sai Kung Town, are reasonable, and the dishes are gigantic. 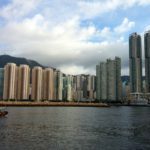 Thank you for providing such excellent information about Hong Kong and your experiences at and around HKUST. Your blogs are proving invaluable to me in my preparation for next semester. 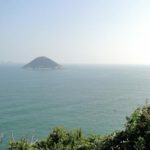 I'll be a visiting post-graduate student at HKUST and your blog has been the best source of information I've found from a personal perspective. I appreciate it. I'll shoot you an email after I arrive and get my bearings. Hi Andre, welcome to HK. You should perhaps note that Disney is on the exact opposite side of HK from Disney. To go form Disney to Sai Sung would take you a long long time. 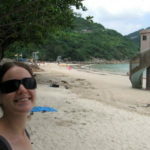 I would recommend Cheung Chau Island and Lamma Island as alternatives to fresh affordable seafood with great beaches and gorgeous landscape. 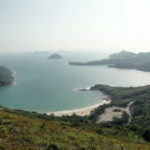 what is the best ride going to sai kung if coming from disneyland? are there still buses at midnight? 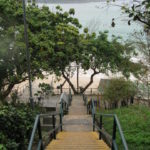 Applepink07 – minibuses leave to Sai Kung around the clock (24hours) from Choi Hung MTR station. At midnight you should still have MTRs from Disney arriving at Choi Hung and then catch the night bus from there. Let me know how that worked out for you. Hi Andre, welcome to HK. You should perhaps note that Disney is on the exact opposite side of HK from Sai Kung. To go from Disney to Sai Sung would take you a long long time (~1.5 hours). I would recommend Cheung Chau Island and Lamma Island as alternatives to fresh affordable seafood with great beaches and gorgeous landscape. we're visiting HK this weekend, staying at the disney hotel. i'll add this to our list and will definitely try to visit if we have time. thanks.